Giving Nature a Home in Glasgow Welcome to Giving Nature a Home in Glasgow! 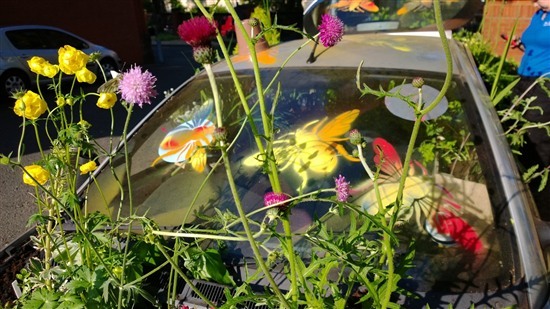 Welcome to the new blog for the Giving Nature a Home in Glasgow project! My name is Fiona Weir, and together with my colleagues here at the RSPB, I’ll be keeping this blog up to date for the next few weeks and months. 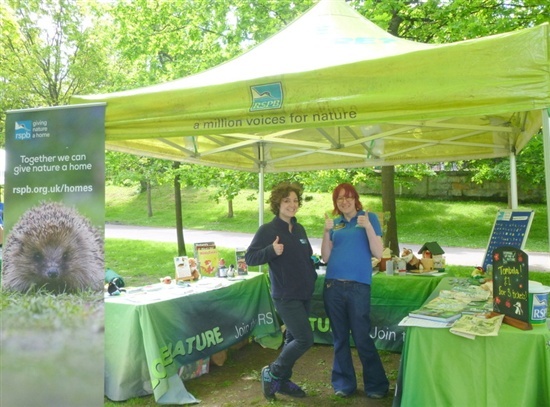 We’ll let you know what’s been happening at our events, share some pictures of the great wildlife you can see around the city, and let you know all the ways you can get involved in helping Glasgow’s wildlife. But first of all, it’s probably a good idea to give you a little bit more information about the project itself and what it’s all about. Giving Nature a Home in Glasgow was officially launched in April this year with the aim of creating more space for wildlife in the city, as well as inspiring people of all ages to get more involved with the natural world. We’re bringing together new and existing projects, and working with community groups, schools, and official bodies including the city council. We’re running citizen science projects, like house sparrow surveys, and encouraging volunteering through conservation days. And this September, we’re holding a city-wide wildlife garden festival to which everyone is invited! So why are we doing all this? Well, in addition to being a bustling city, Greater Glasgow also has a rich variety of green spaces, from beautiful parks to tiny community gardens. Despite this, our wildlife is in decline, and needs our help. But this project is about more than just creating space for wildlife. As in every city and town in Britain, Glasgow’s children spend most of their time indoors rather than outside getting muddy and exploring. Encouraging more activity in nature could pay huge health and well-being dividends. 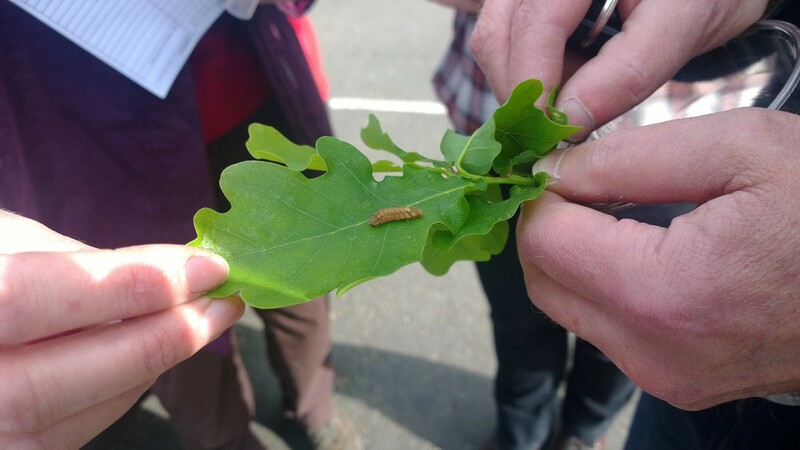 We’ve already held lots of events, including a bioblitz in Kelvingrove Park, and we’ve been running walks with experts helping people to expand their skills in identifying all sorts of different wildlife. There are more of those sorts of events to come, and plenty of volunteering opportunities too. We’ll also be letting you know about simple things that you can do at home to help wildlife, like putting up a nest box, or planting some wildflowers. So stay tuned, and we’ll try to keep updating the blog every week or so. Feel free to get in touch as well if you’d like to get involved, or share your experiences of wildlife in Glasgow. You can do this through the comments below, or through our Twitter or Facebook accounts. 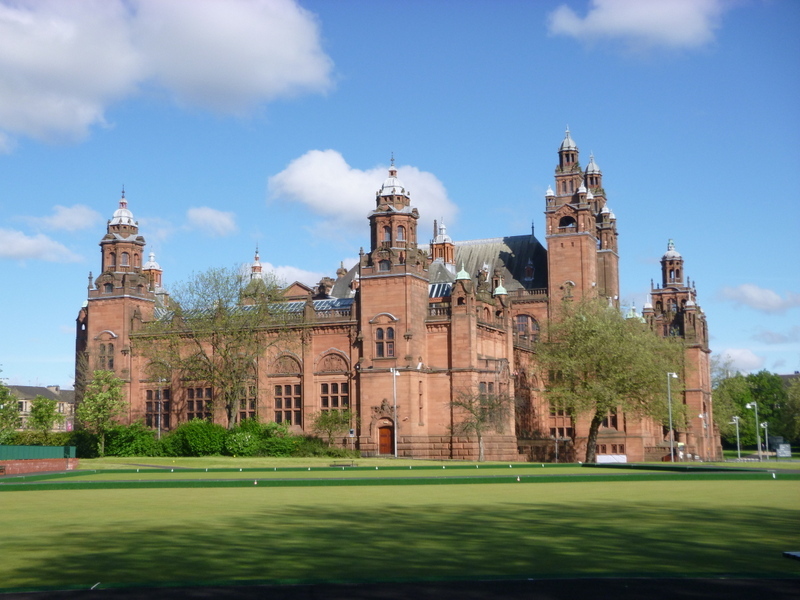 Or most days, you’ll find us in the Scottish Wildlife Gallery of Kelvingrove Art Gallery and Museum, so feel free to stop in for a chat. Photos from top: RSPB stand at Bioblitz (Hannah Grist), Kelvingrove Art Gallery and Museum (Hannah Grist), Bioblitz caterpillar (David Palmar) and Hillhead School Bumblebee Car (Fiona Weir).